Home » Celebrate National Trails Day! June 1st is National Trails Day! Celebrate this day by walking, hiking, biking, paddling or exploring your favorite trail. 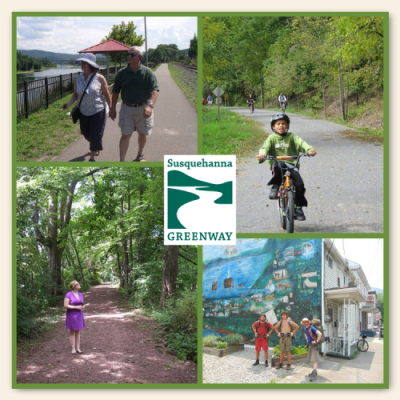 Did you know there are over a hundred miles of trail along the Susquehanna Greenway? Learn more at our Trails Page.